Judge John S. Palmore, former chief justice of the Kentucky Supreme Court, has had a rich and varied life over most of the twentieth century, beginning with high school and college in Bowling Green, followed by experience in World War II, then Harvard Business School, then the practice of law, and finally a position on Kentucky's highest bench. 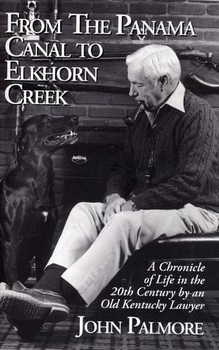 He writes about it all in From the Panama Canal to Elkhorn Creek, with a wit and good humor for which he is well known among his colleagues and friends. This is Judge Palmore's second book.